Welcome and thank you for exploring PracticalEtiquette.com. My name is Dan Spaventa, and I am the owner and webmaster for this website. PracticalEtiquette.com was the brain child of Karielle Samstad, which she ran from 2005 to July 2010. Her thought was to provide a simple straightforward way to use proper etiquette to improve your every day experiences. When she decided to sell it, I was interested in the concepts ... practical and etiquette ... and how these seemingly different concepts might interplay. When I acquired Practical Etiquette, there were a little over 50 pages that Karielle had written to lay out her concept. I plan to expand the site, adding in some places where appropriate and also taking the site in a few other directions. Hopefully, you will find the additions useful. Taking a common sense approach on treating people the way you would like to be treated. Or, to quote the "Golden Rule:"
So we will get beyond things like, how do you determine when out at a restaurant for business or with family and friends, which is your bread plate and which is your water (Do the OK sign with each hand; the "b" or left side is your bread plate, the "d" or right hand is your drink or water glass) ... OK so all the real etiquette people are rolling their eyes ... but we are going to examine things like how does etiquette or good manners/being polite actually get you ahead in the business world. Also, who does what for a wedding? And what are some of the customs you may encounter as you travel the world for business or pleasure. As you can see, "etiquette" plays into a lot more things than where to place the fork. We will be examining all these things based on my (and friends) extensive experience both with raising children (we have three), our experience in the business world (30 years and traveled to many different countries), and applying a common sense approach on being viewed as a straightforward and fair person to deal with while considering the impact on those you come in contact with. Well, to tell you the truth, this is actually our fourth website. Each one is on a totally different topic, but what ties all of them together is a familiarity of the topic and a passion to share information. 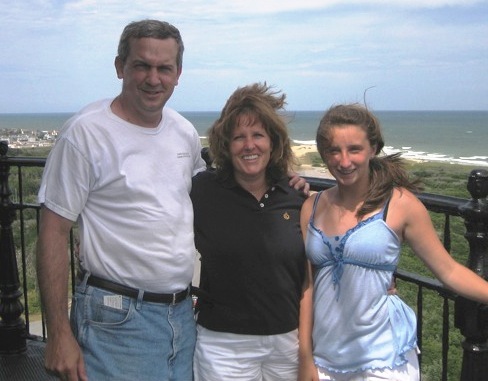 Our first website, Outer Banks Revealed is about the place we’ve been vacationing since 1991. A place that has become a second home. The second website, Fastpitch Softball Coaching allows me to share experiences I had during the 15 years of coaching at various levels of softball and an opportunity to give back to the game that gave us so much enjoyment. Both of these sites we started from scratch. The third site, Basil Basics [recently retired], which is all about the herb, basil, was the first site we had acquired from another. It allowed us to remember some fun times growing up, but also provide a range of information on growing, cooking and using the medicinal side of basil. And finally, we added Practical Etiquette, to share some common sense things on how to treat others better, but also demand the same for yourself. If you have something you know a lot about, have a passion to share it with others (and maybe make a few bucks as well), then maybe you should investigate what SiteSell.com has to offer. Could be the best $299 you ever spent and next year this time you may be writing something similar on your About Us page.